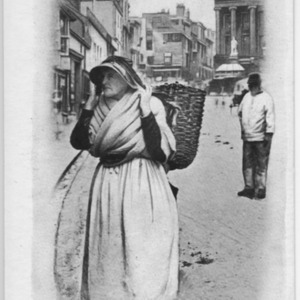 Postcard depicting a Cornish fishwife in Market Jew Street, Penzance. The postcard is heavily doctored, and the 'fishwife' is probably composited into the scene. 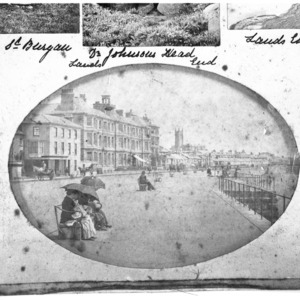 Very early view of Penzance Promenade Queens Hotel Marine Terrace seat with ladies sitting holding parasols.